If you are ready to start a business and hate the idea of being tied to one location, a mobile business may be the perfect fit for you. What is a mobile business? A mobile business is exactly what it sounds like—a business that allows you to hit the road, traveling to different locations to provide your products and services to your customers. Mobile business owners are able to transport all of the necessary tools and equipment in their vehicles, and provide their services to customers at their homes, other locations, or right out of their vehicles (think food trucks). One of the best parts of starting a mobile business is that the startup costs are generally low, providing a quicker path to profitability. If this sounds interesting to you, here are 16 mobile businesses you can explore further. 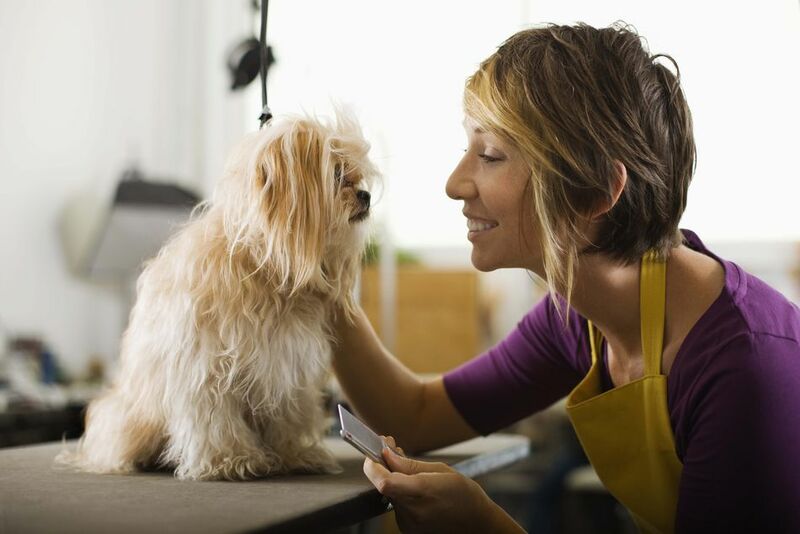 If you have experience with pet grooming, all you really need to start a mobile pet grooming business is your equipment and at the ability to travel to your customers' homes, bringing the grooming salon right to them. This is an especially valuable service for pet owners who are tight on time or those with pets who spook easily. You have probably seen food trucks for just about every type of food, but the most successful trucks have a specific food niche they cater to. Perhaps it is a type of food (sandwiches, pretzels, or breakfast) or perhaps it's the ethnicity of the food (Mexican, Italian, or Chinese) or it could even be specialty food (vegetarian, desserts, or organic). A party bus simply transports partygoers from one location to another. It could be taking guests at a wedding from the ceremony to the reception, bringing birthday party guests to a special game or concert, trekking high schoolers around after their prom, or even ensuring designated drivers for bachelor and bachelorette parties. If you have experience in a certain subject area and love teaching others, a mobile business as a private tutor may be for you. Not only is this a mobile business idea, but this also makes a great part-time business because you can control how much you work and when you are available. If you are tutoring children, after-school hours and evenings are more ​popular, making it a perfect part-time fit. A mobile auto detailing business allows you to bring the equipment right to your customers' cars, washing and cleaning their vehicles while they are at work, watching their son's football game, or doing something else that requires their attention. This is a huge time-saver for busy people, often making it an easy sell. A mobile or in-home personal training business brings the fitness gear and workout plan right to your clients, wherever they are. If you are already certified as a personal trainer, startup costs are very low and profits can be high, especially since you won't need to give a portion to a gym for use of their space. Have you ever locked your keys in your car or locked yourself out of your home? A locksmith could rescue you. Locksmiths do most of their work outside of a traditional location, helping those who are locked out, and installing and repairing locks on doors, windows, safes, and cars, making it the perfect mobile business. A cleaning service is another "always on the road" business that can be lucrative. And don't get stuck thinking this means just cleaning houses. While residential cleaning is a popular option, you can also clean offices or retail spaces. You can even specialize in a certain type of cleaning, such as green cleaning or construction cleanup. We talked about a mobile pet grooming business earlier, but what about grooming for humans? With the right experience and equipment, you can bring a salon that provides hair and nail services to your customers. If successful, you can even consider expanding to a mobile spa that provides massages, facials, and other luxury services. You don't need an extensive studio or traditional business location to start a successful photography business; you can take your gear anywhere. In fact, a mobile photography business gives you the opportunity to capture photos in unique places. If a food truck is a good mobile business idea, what about a mobile florist? Mobile flower trucks can deliver flowers for special events, or just park in a highly trafficked location and sell bouquets to those passing by. With a flower truck, you can even create a hands-on experience by letting customers pick flowers for their own arrangements, providing a truly customized service. Catering is a great mobile business for anyone who is an exceptional cook and likes to prepare food for people's special events. It often takes only a handful of successful events for word of mouth to take off, and your business will boom. Then, you can consider expanding your mobile catering business further into more extensive catering or even pop-up restaurants, giving you growth opportunities. Take another look at the four previous ideas. You can combine those four ideas and start a mobile wedding services business that provides salon services, photography, flowers, and catering on-location for weddings and other special occasions. If you like event planning, too, add wedding planning services for a complete package. If you have a large truck and don't mind filling it with other people's trash, you may want to consider a junk removal business. The idea is that you can collect unused items that are cluttering a home—generally from garages and attics—for a fee. The bonus is that you can do whatever you want with the junk, potentially cleaning it up and selling it for a second fee. With a truck, some muscle, and a second set of hands, you can start a moving company. This completely mobile business doesn't require any special equipment; you only need a space to park your truck when it's not in use. If successful, all it takes to expand is a second truck and a few more helpers. Plus, startup costs are very low and the need for these services is usually high, making this a smart business idea. A professional organizer goes into homes and businesses and improves the way things are documented, filed, and organized. You can organize the filing system in an office, a child's playroom, or kitchen cabinets and pantry, giving you lots of specialized services to offer. If you know how to manage clutter and create systems that keep everything easily accessible, a mobile organizing business is worth your consideration. The SBA provides more startup tips for a mobile business, including getting the right permits and insuring your vehicle, so take a few minutes to read through their advice.